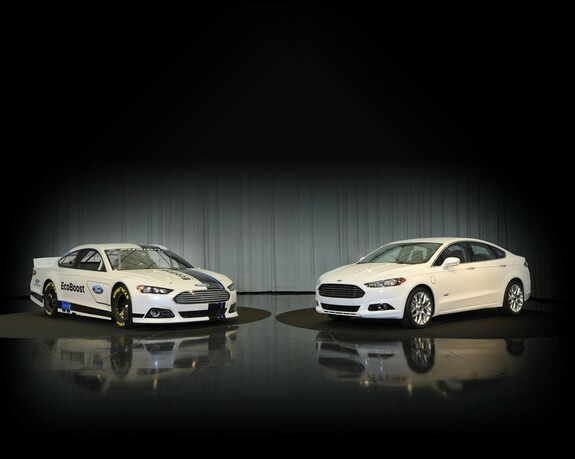 Ford has recently announced that the 2013 Fusion model will debut in NASCAR as a racecar, and the model’s prototype will be officially presented to the public on Tuesday afternoon, (January 24) at the Charlotte Motor Speedway. 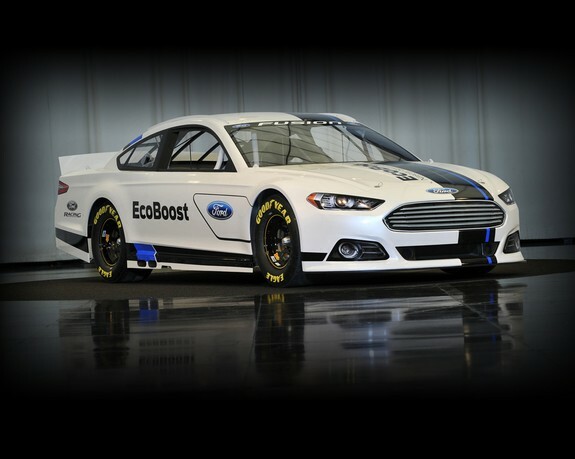 After making its debut as a production version at the 2012 NAIAS, the new generation of the Ford Fusion, or Mondeo as it will be known in Europe, is getting ready to enter NASCAR, and the prototype will be unveiled on Tuesday afternoon. 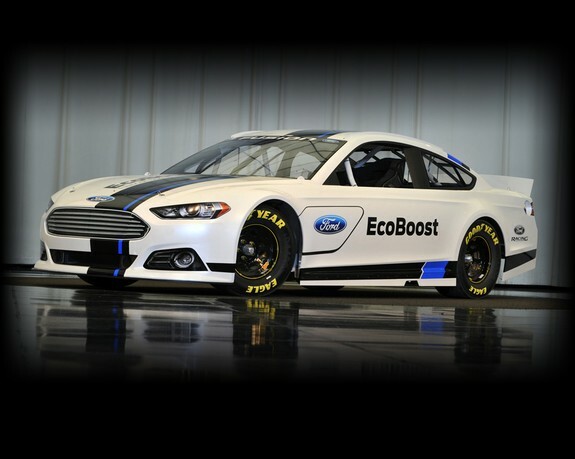 According to the car manufacturer, the 2013 Ford Fusion NASCAR racecar will be presented at the Charlotte Motor Speedway and the model will be seen in NASCAR starting from next season. And a tease as posted by wildosvt on BON . . .
Chevy is actually using Impala, not Malibu. 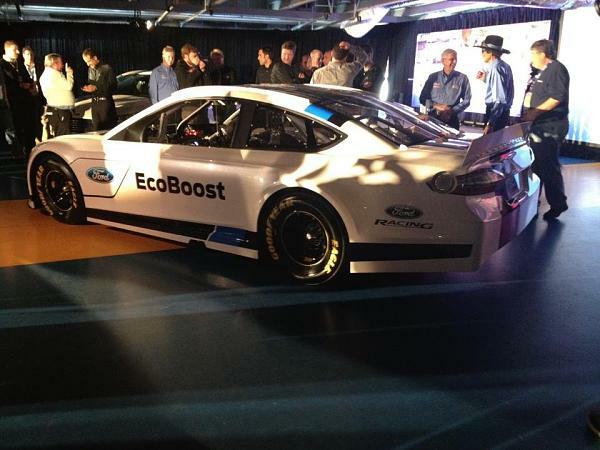 Didn't NASCAR say that in 2013 the next generation of cars will be used which will look more like production vehicles? Last edited by Evil_Capri; 1/24/12 at 11:15 AM. That does look better! It would be nice to have "different" cars on track again, finally. I can't stand that COT. Is the new Ford really going to have an eco-boost engine in it of some kind?! Last edited by Ronin38; 1/24/12 at 12:12 PM. I love it its awesome!!!!! It looks so aggressive!!! Man c'mon folks is that cool or what! It looks awesome. Hopefully NASCAR doesn't uglify it. Looks a lot like the production car. Hopefully Chevy, Dodge, and Toyota step up and work up something nice for their cars. Real World Photo . . . It looks sick... like a real race car now not some put together ugliness like the current car. This thing would look at home even at Le Mans. I'm surprised, NASCAR actually let them make something cool looking. I'd also like to point out that the Evos/Fusion styling looks pretty good on a long-nosed V8 RWD vehicle. I like it! Finally some individuality is coming back. When i first saw the New fusion I thought it's stickers would look good on the COT. OMG they look so sick! Agree, this car looks incredible! I still like the Mustang, Challenger of the Nationwide series the best but this is making a reason for me to watch NASCAR again. Can't believe I said that. The Fusion would make a nice looking two door hardtop. If a convertible can be made to meet safety standards, why is it not possible to make a two door hardtop safe enough ? No Eco-Boost. But NASCAR finally went to FI starting this season.